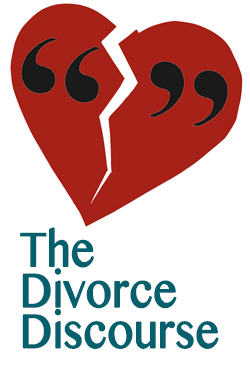 The Divorce Discourse, an LLRW Enterprises concept, has launched its website and workshops that will start the conversation between experts in family law and the market they serve - those considering marital agreements or entering into divorce, those in the middle of a divorce, and those with ongoing legal concerns over their decree or modification. Our website is an important tool for attorneys to be able to arrange live workshops to share their expertise with potential clients and for couples and individuals to access information about upcoming workshops and events,” says Louisa Marlin. The Divorce Discourse, an LLRW Enterprises concept, has launched its new website for all experts in family law and the market they serve - those considering marital agreements or entering into divorce, those in the middle of a divorce, and those with ongoing legal concerns over their decree or modification. The website contains information for lawyers and individuals on upcoming workshops and live events that focus squarely and directly on topics related to divorce and family law. The first workshops, "I'm About to File for Divorce. What Happens Next?" will be led by Board Certified Family Lawyer Todd Frankfort. These workshops are meant to be private and safe and give good information to the public by the professionals who know the law. This particular set of workshops will focus on custody, child support, who lives in the home and various other questions that are common when thinking of filing. The Divorce Discourse has one goal, which is to start the conversation between people and professionals so that the right information is being given. The Divorce Discourse will hold workshops focusing on various topics surrounding divorce throughout the year with the hopes of empowering people going through this trying time with knowledge and a better understanding of what is to come. Visit The Divorce Discourse website at http://www.TheDivorceDiscourse.com for information on live events with real discussions and real answers about divorce.